Klaas-Jan Huntelaar was at Madrid for six months in 2009. Former Real Madrid striker Klaas-Jan Huntelaar is looking forward to facing his former side when Ajax play the La Liga giants in the Champions League round of 16, with the first leg in Amsterdam on Wednesday – though Huntelaar says the club weren’t “royal” when he was with them. Huntelaar spent six months in Madrid in 2009, joining the club from Ajax in the January window before departing for AC Milan in the summer. The Dutch striker never played a European fixture for Madrid, as Los Blancos could only register one of Huntelaar and Lassana Diarra to their Champions League squads, with the French midfielder getting the nod. Huntelaar has, however, played in the Champions League at the Santiago Bernabeu, scoring twice for Schalke at Madrid’s stadium in 2014. The 35-year-old reflected on his short spell at Madrid with a hint of stoicism, recognising the opportunity he had to play for one of Europe’s biggest clubs but also that he joined at a time of upheaval. 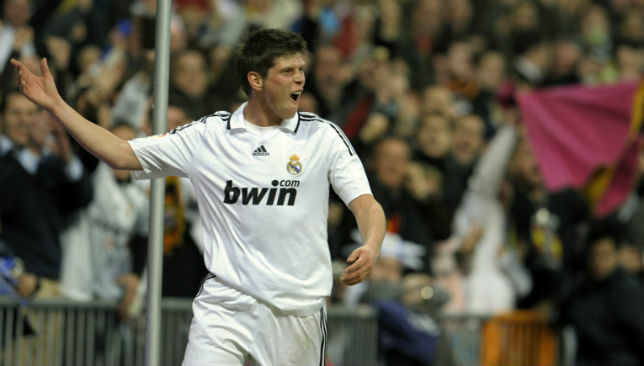 Klaas-Jan Huntelaar has mixed memories of his time at Real Madrid. “Real is a beautiful club,” he told De Telegraaf . “I played there 10 years ago and I spent a small part of my career in Madrid. Only three players remain from Real Madrid’s starting XI the last time they travelled to Amsterdam to take on Ajax back in 2012. Sergio Ramos, Marcelo and Karim Benzema started the 4-1 demolition which featured a Cristiano Ronaldo hat-trick and a quite sublime overhead kick from the French striker following a rapid counter-attack. There’s no Ronaldo, Iker Casillas, Xabi Alonso or Kaka this time around and the Galatico era is very much over with Gareth Bale its sole survivor. And the Welshman is the subject of our opening talking as Santiago Solari’s new iteration take on Erik ten Hag’s Dutch giants at Johan Cruyff Arena for the first leg of their round-of-16 Champions League tie on Wednesday. STICK OR TWIST FOR SOLARI? Vinicius Junior doesn’t even come into this debate, such has been the teenager’s establishment as Real’s chief attacking threat. The Brazilian is riding the momentum of six-consecutive starts in La Liga and has featured prominently in their last two fixtures, El Clasico in the Copa del Rey and then at the weekend in the Madrid derby. Assuming he’ll remain on Real’s left, that leaves just one spot vacant on the opposite side with Karim Benzema as the spearhead. And Solari has a number of options, not least Bale who did remind everyone of his quality with a signature strike – that moved him onto 100 goals for Los Blancos – to kill off Atletico Madrid having risen from the substitutes’ bench. 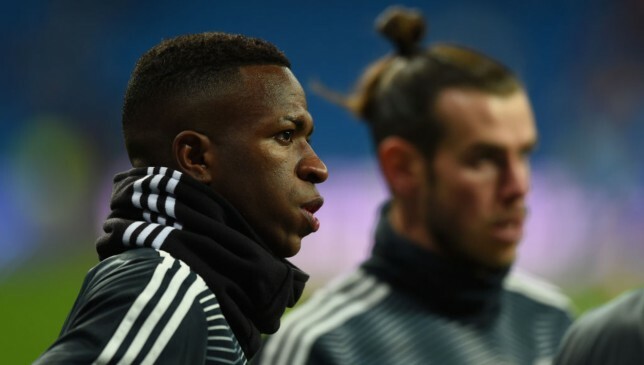 Solari has, however, favoured Lucas Vazquez on the right side, preferring his proficiency from a defensive perspective to balance the attacking exploits of the two in the three. This means Bale may sit out again. The 29-year-old won’t be alone, either. Isco – who still hasn’t started a game under Solari – and Marco Asensio are two elite talents who will invariably join him. In Bale’s case, an impact role is probably more suitable at the moment. Given his propensity to drift in and out of games, his ability from the bench could provide Real with a legitimate weapon in the second half. Arguably the most intriguing aspect of this tie is the young-stars narrative. Vinicius as previously mentioned and a 22-year-old Sergio Reguilon represent Real’s new age. On the other side is virtually an entire XI of 20-somethings. Indeed, Andre Onana (22), Matthijs de Ligt (19), Noussair Mazraoui (21), Frenkie de Jong (22), Donny van de Beek (21) and Kasper Dolberg (21) should all begin from the outset, bringing Ajax’s likely starting XI to an average of about 24. But it’s not the young v young dynamic which provides the interest because those draped in the white and red sash of Ajax face testing examinations from some Real old boys. De Ligt has to contend with a red-hot Benzema, De Jong – should he be passed fit – and Van de Beek have one of the best midfield trios to try and wrestle control from, while Dolberg has the unenviable task of finding a way through Raphael Varane, and, of course, Sergio Ramos. A tie of this magnitude will be another step in the maturation of these young and gifted talents. For one player in particular, it’s the start of a clash he’ll have to become accustomed to. Barcelona’s new €86 milllion recruit from the Dutch talent factory will get a first taste of facing Los Blancos and the atmosphere will be no different to the intensity of El Clasico. Indeed, Ajax haven’t reached the knockouts of the Champions League for 13 years and so you can expect this fevered fan base to both be seen and heard on Wednesday night. 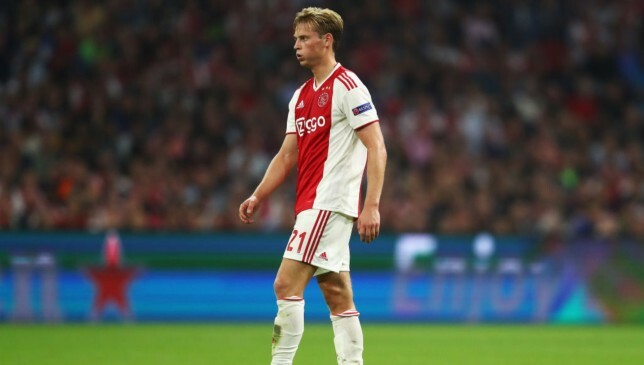 Should De Jong be passed fit – the midfielder was taken off for the final 10 minutes of the Eredivisie defeat to Heracles at the weekend with a muscular injury – then he’ll get an indication of what it is like to play in a club fixture of such magnitude. The alarming Opta-provided statistic of De Jong losing possession 20 times against Heracles, a tally more than he amassed in any of his previous 68 matches in all comps for Ajax, does not exactly inspire confidence. What is of more concern is that collectively Ajax lost the ball 184 times in that dire defeat and perhaps the transfer of De Jong has unsettled the entire team. Hakim Ziyech (Borussia Dortmund), De Ligt (pretty much every club requiring a world-class centre-back) and Van de Beek (Roma) have all been linked with moves away from the club. However, this is glamour tie is as good as any to prove they’re worthy of such lofty moves. In De Jong’s case, he’ll be eager to show he belongs in fixtures of this nature. 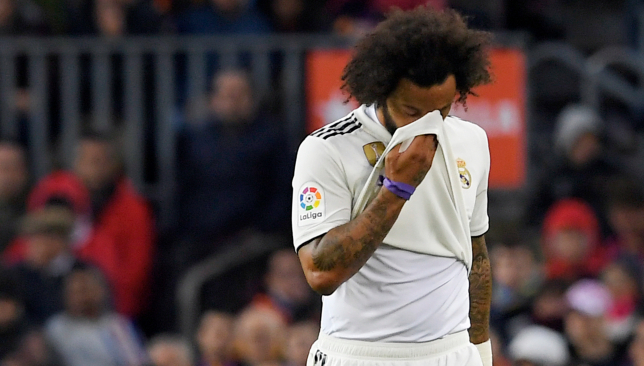 Real Madrid defender Marcelo admitted that he could leave the capital if there comes a time that Los Blancos no longer need his services. With Cristiano Ronaldo and Kiko Casillas leaving the club, the Brazilian has lost two of his best friends at the club. He’s also fallen out of favour with Madrid boss Santiago Solari and the 30-year-old has been linked with a switch away from the Santiago Bernabeu. “I had a very good relationship with Cristiano, his family and his girlfriend,” he told Esporte Interativo, according to Marca. “I played 9 years with him and it’s normal to be sad. Marcelo maintained that he has never thought about leaving Madrid. But he did not rule out a potential move away from Los Blancos. “Leaving Madrid has never crossed my mind, I trust myself more than any other person and there is no reason to leave,” he noted. “If that happens, they can pay me and everything will be fixed. “I trust in myself, in my work, but if the day comes when Madrid do not want me, I’m going.